Dissertation Topic: Cultural and Gender Differences in Information Sharing through Social Media. The overall aim of the project is to take a closer look into the social media networking site Facebook and conduct my own research into how people generally use Facebook, the impact and implications Facebook has on a user, the thoughts on privacy with regards to Facebook and to see if a participants ethnic background has an effect on the way they use the site. I will also be analyzing both male and female participants to see if there are any significant differences with regards to their Facebook activity, what they post and what personal information they choose to share. During this study I will look closely into the attitudes of users when posting content, their own censorship and consideration for others when posting content of themselves and others. At the end of this marketing dissertation I aim to have a clearer insight and a greater understanding into a users cultural or ethnic background and if this has any effect on the way that they use or see Facebook and if there are any outstanding correlations between variables also to see if there are any significant differences between male and female participants and how they use Facebook. Since the advancement of the Internet, Social Media has become a huge part to play in everyday life. Communication and Information sharing through different types of Social Media platforms is at its highest and more and more people are choosing to use these methods. This marketing dissertation aims to use a method that will help draw out concise results on how different cultures portray themselves through Social Media. This dissertation will consist of taking a close look as to how Social Media is used by individuals and the Social Media platform that has been chosen is Facebook. The dissertation will involve a number of phases; designing the specific method to collect the data required, carrying out the method, extracting the results collected from the method, finishing off with analysis and conclusiveness of the results. The outcome of this project is to be able to clearly differentiate between cultural groups and the way information is shared through Facebook. If you enjoyed reading this post on cultural and gender differences in information sharing through social media, I would be very grateful if you could help spread this knowledge by emailing this post to a friend, or sharing it on Twitter or Facebook. Thank you. Melamed (1996) defines a career as someone’s progress in his occupation through his life. Within the scope of this essay, career success will be mainly defined as the opportunity for management positions and promotions. This is necessarily a restricted definition, but is a starting point to examine the influence of gender. There is a growing body of opinion that the so-called ‘glass ceiling’, where women’s prospects for career advancement are limited due to their gender, is a thing of the past. On the contrary, this essay will argue that gender continues to influence career success to quite a significant extent, first by examining the current situation of gender difference in management positions, then considering career aspirations and opportunities, attitudes towards the genders in terms of abilities, and finally touching on theories of gender difference in career success. First, women continue to be in a significant minority when it comes to occupying management positions. It is certainly true that women have gradually become a more and more important part of the global workforce since the middle of the last century. The new term “career woman” is getting popular. However, a large number of studies indicate that in the pursuit of career success, women have to overcome more difficulties than men, before they can reach the top of the hierarchy. A study by Glenice and Margaret (2001: 3) has shown evidence of ‘attitudinal, behavioural and structural barriers that are deterring women on their way to achieve career success. Such barriers seem to be more obvious in the senior management level. 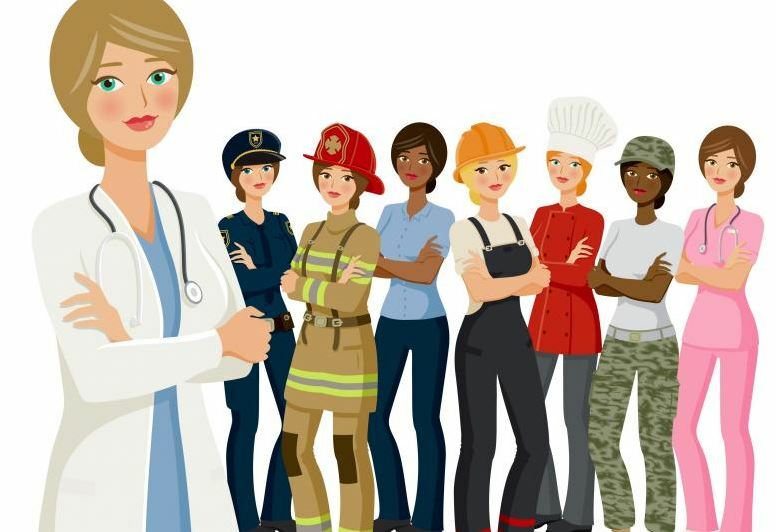 In spite of more and more women join the ‘paid workforce’ and taking up management roles, no more than 5 per cent of top management position is taken by women in the USA (Glenice and Margaret, 2001:1). In UK the number is estimated to be 4 per cent or lower, while in Australia it is around 3 per cent. Early studies all prove that the phenomenon of the “glass ceiling” does exist in the top ‘management level’. In the past decade, evidence shows that women are beginning to break through the “glass ceiling” and managing to acquire their position in the top management group (Ryan and Haslam, 2005). On the other hand, Ryan and Haslam raise a concern that women’s ability to perform well in these positions is being undermined by the type of roles they are offered. They identify female executives being given roles in departments which are known to be in structural difficulties or failing financially: “women are particularly likely to be placed in positions of leadership in circumstances of general financial downturn and downturn in company performance”. This is just one study, however, and should not be used as a generalisation for the experience and career success of all women in management positions, or to prove that gender affects career success in recent times. Although evidence shows that women are in a disadvantaged position in the labour market, it is a position that may actually be reinforced by women’s own perceptions. The career aspiration and expectation between different genders has been studied. Glenice and Margaret (2001) indicate that women are not very interested in pursuing a career. They found that women are more easily satisfied and therefore less likely to maximize their career aspirations. Hede and Ralston’s research (1993) also shows that female managers are less likely to pursuit a position in senior management level compared with male managers. Their expectations of an executive position are also lower than men. Regarding equal opportunities, an interesting fact is that most women managers believe that they have fewer opportunities when there is a chance for promotion, and they are not actively encouraged to participate in career development activities (Glenice, & Margaret, 2001). In contrast, male managers believe the opposite. However, the research by Ryan and Haslam (2005) suggests there is a narrowing difference between men and women’s perceptions of their opportunities for promotion and therefore their aspirations are becoming more similar. However they found that both men and women believe that gender plays an important role in decisions in personnel selection regarding the type or area of a job. It seems that the barriers to promotion may exist partially in women’s attitudes or expectations. Another possible barrier to female career advancement is the perception that men and women have different skills, with the former being more suited to senior roles. The possible difference in the types of jobs offered to women and men mentioned above requires further exploration. Researchers argue that men and women’s career progress are based not just on different attitudes but also on different attributes. Tharenou et al (in Glenice and Margaret, 2001:3) argue that ‘women’s achievements are built on experience and performance while male employees are judged on their level of education’. This seems to be rather a controversial generalisation, but a more commonly argued point is that the different genders have different skills or qualities. Eagly (in Glenice, & Margaret, 2001:2) proposed that the expectation that ‘women will exhibit communal qualities and men agentic qualities’ has an effect. Glenice and Margaret (2001:3) describe communal tendencies as ‘interdependence and co-operation and enjoyment at working closely with others’, and agentic tendencies as ‘a desire for self-expansion and independent behaviour’ (Glenice and Margaret, 2001:3). Their study proved that these gender differences were commonly given as reasons for promotions. However, this research only proves that the belief that men and women have different skills is widespread. It does not prove that men and women have different abilities. It could be argued that much of the evidence above for gender difference influencing career success is based on people’s (both men’s and women’s) perceptions and aspirations rather than a real difference between the genders in terms of ability. However, this does not negate the argument that gender is a major cause of difference in career success. In fact, it seems clear that two factors are strong influences in career success: the relatively unproven issue of actual difference between the genders, and the more commonly agreed-upon issue of belief in this difference. This belief creates external barriers to promotion for women in the workplace, as well as internal barriers, which are that women do not aspire to greater success but may be satisfied with positions lower than their actual abilities. In conclusion, gender has significant influence on employees’ career success. First of all, the disadvantaged position of women is clear, especially in the top management level. The “glass ceiling” does exist in most countries. Secondly, evidence shows that men and women employees have different experiences in their careers. It is generally believed that men have higher promotion opportunities and career expectations than women, although this is not true in all studies. Thirdly, the career success of men and women are influenced by different factors, because of the different social roles they are expected to play. Men are expected to be agentic in their beliefs and behaviors, while women are expected to be communal. In other words, the traditional view is that women’s internal attributes do not fit the requirement of top management. It will take some time to eliminate such bias before more women can have the chance to prove their ability and reduce the influence of gender on career success. Hede, A., & Ralston, D. (1993) Managerial career progression and aspiration: evidence of a “glass ceiling”? International Journal of Employment Studies, 1: 2, 253-282. Melamend, T. (1995) Career Success: the moderating effect of gender. Journal of Vocational Behavior, 47, 35-60. Melamend, T. (1996). Career Success: An assessment of a gender-specific model. Journal of Occupational and Organizational Psychology, 69, 217-242. Ryan, M. K., and Haslam, S. A. (2005) The Glass Cliff: Evidence that women are over-represented in precarious leadership positions. British Journal of Management, 16, 81-90. Wood, G. F., and Lindorff, M. (2001) Gender differences in explanations for career progress. Women in Management Review, 16(4), 152-162. I do hope you enjoyed reading this post on gender influence and how it affects career success. There are many other titles available in the HRM Dissertation Collection that should be of interest to human resource management students and CIPD professionals. There are many dissertation titles that relate to other aspects of HRM such as employee engagement, HRM Theory, absenteeism, training and development to name a few. It took a lot of effort to write this post and I would be grateful if you could share this post via Facebook and Twitter. Feel free to add your thoughts in the comments section. Thank you.